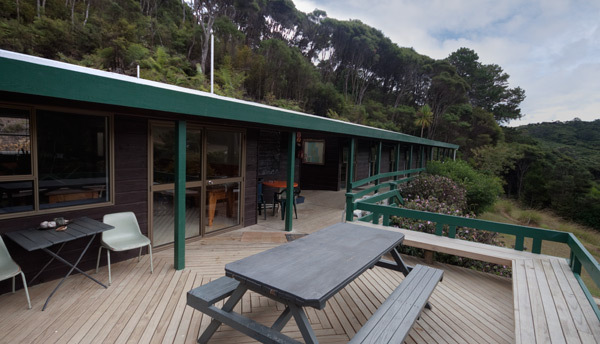 As the largest provider of New Zealand backpacker accommodation on Great Barrier Island Stray Possum Lodge has room for up to 34 visitors in our dorm rooms and double rooms plus a campsite that is a busy place in summer. The backpacker kitchen, lounge, showers and toilets are shared facilities serviced daily. The backpacker accommodation option of shared dorm rooms with bunk beds is $35.00 per person per night (linen/blankets included). Each bunk is supplied with a sheet and covered pillow. We have three dorms, one with 10 beds and two with 6 beds each. We also have double rooms and family rooms. Our back packer accommodation self-catering facilities are fully equipped, or you can relax in the Stray restaurant and bar.